This evening, to coincide with Galway International Arts Festival’s visit to London with the UK premiere of ROOMS by Enda Walsh, Ambassador of Ireland, Adrian O’Neill, will host a special reception to welcome the Festival to London. As part of the event, GIAF will present a First Thought Talk with Irish artist John Gerrard, one of Ireland’s most unique and internationally celebrated artists best known for his large-scale and site-specific works. John Gerrard is one of Ireland’s most unique and internationally celebrated artists best known for his large-scale and site-specific works. 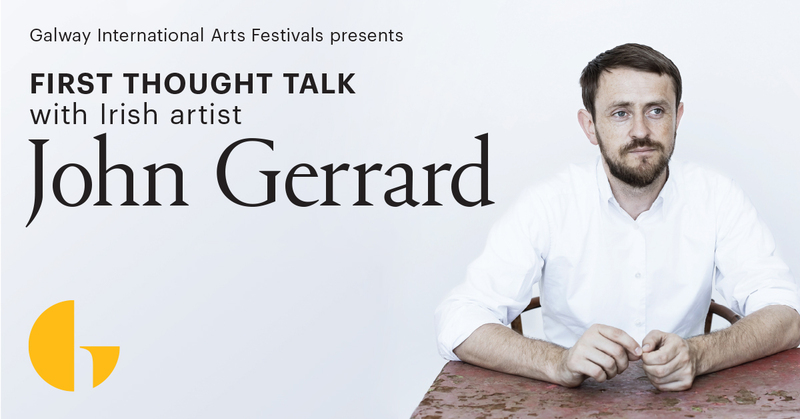 Paul Fahy, GIAF Artistic Director, will join John Gerrard in conversation to discuss Gerrard’s work, and his exciting collaboration with GIAF for 2020. Galway International Arts Festival has commissioned John Gerrard to create two major artworks as part of the programme for Galway 2020 European Capital of Culture. Galway International Arts Festival would like to acknowledge the support of Culture Ireland with the UK premiere of ROOMS. The Festival would also like to acknowledge its principal funding agencies the Arts Council and Fáilte Ireland and Festival Partners Heineken® and NUI Galway.